Kim Jong Un tours the renovated Mangyo’ngdae Schoolchildren’s Palace in west Pyongyang. Also in attendance are Kim Yang Gon [A], Ma Won Chun [B] and Ri Il Hwan [C] (Photo: Rodong Sinmun). DPRK state media reported on December 1 (Tuesday) that Kim Jong Un visited the Mangyo’ngdae Schoolchildren’s Palace in Pyongyang, which has recently undergone a renovation. Attending Jong Un’s visit were Kim Yang Gon (Workers’ Party of Korea [WPK] Secretary and Director of the United Front), Ri Il Hwan (Director of the WPK Workers’ Organizations Department), Jo Yong Won (deputy director of the WPK Organization Guidance Department) and Ma Won Chun (Director of the National Defense Commission [NDC] Design Department). Kim Jong Un tours the renovated Mangyo’ngdae Schoolchildren’s Palace (Photos: Rodong Sinmun/KCNA). Kim Jong Un tours Mangyo’ngdae Schoolchildren’s Palace and meets members of the KIS Youth League (Photos: KCNA/Rodong Sinmun). 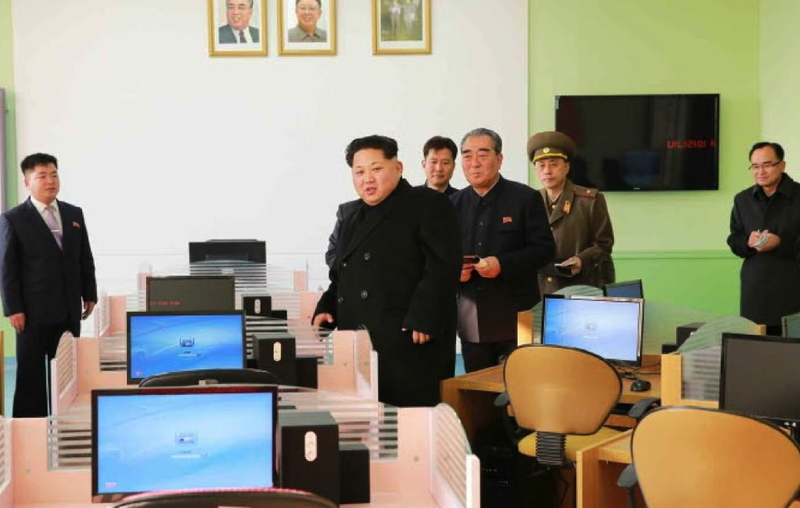 Kim Jong Un looks around a computer room at Mangyo’ngdae Schoolchildren’s Palace (Photo: Rodong Sinmun). 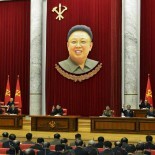 According to KCNA, Jong Un said that the “palace is the comprehensive extracurricular education center for school youth and children of the country” and he issued instructions for managing the schoolchildren’s palace’s operations and “took benevolent measures.” Jong Un noted that “the remodeling of the palace was a very vast and difficult project, but the party spared nothing for it as it was an important one for preserving the bright smile and happiness of the children and their cheerful laughter meant ‘hurrah’ for the final victory.” Kim Jong Un ended his visit by proposing and giving instructions on a formal ceremony to open the renovated Mangyo’ngdae Schoolchildren’s Palace. 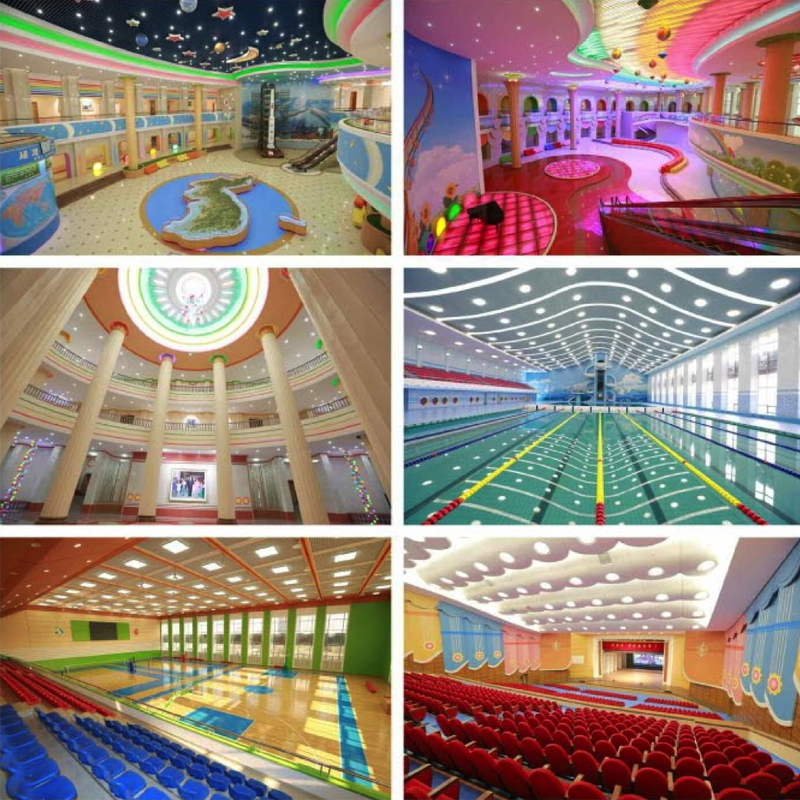 Overview of the renovation of Mangyo’ngdae Schoolchildren’s Palace in Pyongyang (Photos: Rodong Sinmun/KCNA). As noted above, Jong Un’s last public appearance was an inspection of the Wo’nsan Shoe Factory. Given the reported failure of a submarine launched ballistic missile [SLBM] test off the DPRK’s east coast there is a very good chance, and ROK government officials are saying, Kim Jong Un’s last public appearance was at the missile test. 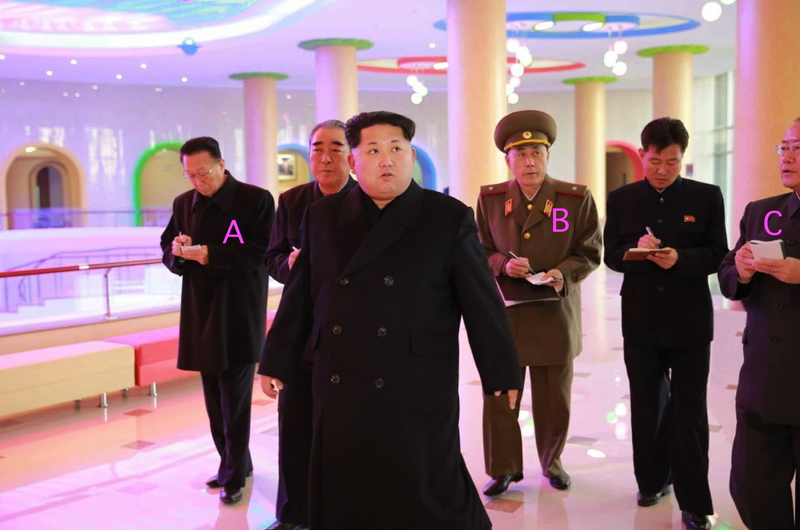 Jong Un has previously conducted on-site visits of economic sites then observed or commanded missile tests or live fire drills when’s traveled to Wo’nsan, where the Anbyo’n proving ground is located. Anbyo’n usually provides the personnel involved in the DPRK’s missile tests conducted in the East Sea (Sea of Japan). In June 2014 he visited Kalma Foodstuffs Factory, then the next day commanded a series of missile tests by the KPA Strategic Force Command. According to the latest reporting from ROK, the DPRK has resolved to conduct additional SBLM tests so perhaps Kim Jong Un will attend one of those. 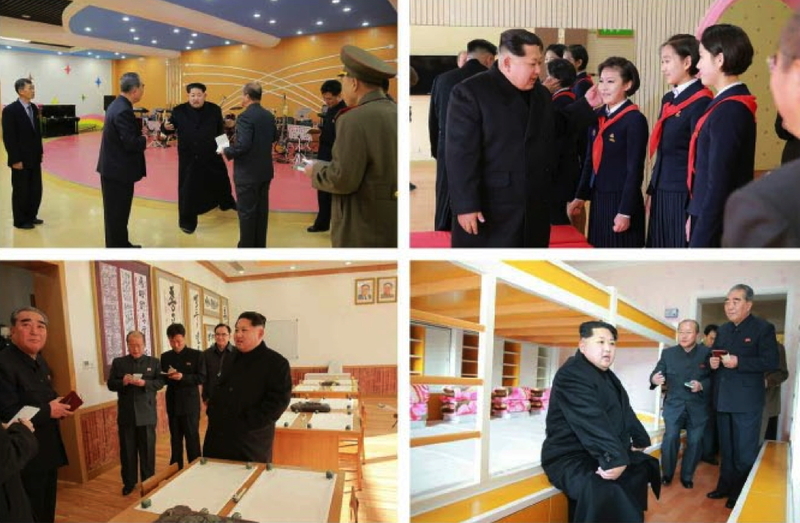 Kim Jong Un’s visit to the Mangyo’ngdae Schoolchildren’s Palace also confirms that Choe Ryong Hae has indeed been sidelined, as Choe was last present during Jong Un’s 2014 visit at which the renovation of the schoolchildren’s palace was initiated. Choe has failed to appear at several workers’ and social organizations’ events during the last two weeks. Choe’s ceremonial role at Workers’ Organizations’ events has been assumed by central party secretaries Kim Ki Nam and O Su Yong. This article was written on 30 Nov 2015, and is filled under 2nd Academy of Natural Science, 7th Party Congress, Artillery Corps, Ballistic Missile Guidance Bureau, Central Committee, Central Military Committee, Choe Ryong Hae, Col. Gen. Kim Rak Gyom (SRFC), colonel general, corps command, corps commanders, critical infrastructure, Education Commission, Events Management Section, Finance and Accounting, Gen. Ri Pyong Chol, gsd, gsob, Guard Command, Hong Sung Mu, Hong Yong Chil (KWP MBID), Jo Yong Won, Kim Chong-un inspections, Kim Family, Kim Il Sung Youth League, Kim Jong Un Visits, Kim Ki Nam, Kim Ki-nam, Kim Yang Gon, kisyl, KJI Personal Secretariat, Korean Children's Union, Korean People's Army (KPA), Korean Workers' Party (KWP), KPA East Command Zone, KPA General Logistics Department, KPA General Political Bureau, KPA General Political Department, KPA General Propaganda Department, KPA General Staff, KPA Strategic Rocket Force Command, KPA supernumerary organizations, KWP Science and Education Department, Ma Wo'n-ch'un (AD), Machine Building Industry Department, military security command [msc], Ministry of Culture, Ministry of State Security, Ministry of the People's Armed Forces (MPAF), MPAF GPB, National Academy of Defense Sciences, National Defense Commission (NDC), NDC Administration Department, North Korean press, O Su Yong, On the Spot Guidance, Organization and Guidance Department, Pak To Chun, party cells, party life, Political Bureau, primary party committees, Propaganda and Agitation Department, Provincial Party Committees, Ri Il Hwan, Second Economic Committee, Second Economy Commission, Secretariat, State Security Department, wo'nsan corps, Workers' and Social Organizations.